New programmes, workouts, and updates added every month! The introductory offer is only £27 per month, cancel at any time and get immediate access to all the amazing programmes listed below. Are you frustrated and struggling to get your nutrition and fitness on track and get the results you really want? Are you suffering from unexplained weight gain, hormonal imbalances, mood swings and generally feeling “not like you”?  Rachel Holmes thank you, your programs are A class! You keep it real, and just ‘get it’ – you give us the best advice, support and guidance. Loving a new lifestyle, and have the knowledge and mindset to reign myself in even whilst enjoying a slice of cake! Emotionally I’m stronger too, i know my triggers and now have strategies in place when stress hits me.  I started this programme with weight and inch loss being top of my agenda, but can hand on heart say that whilst that is still a driving factor for me, it’s no longer my main focus. I feel more energised, focused & full of self worth. I have had a total mindset shift & now have a healthy relationship with food. I simply cannot recommend this way of life enough. How does the Kick Start Member’s Programme work? It’s not your typical diet and exercise program. And it’s not a low carb or fad diet. It is an individualised approach empowering you with the latest evidence-based nutrition, behaviour change, mindset, motivation and home workouts. 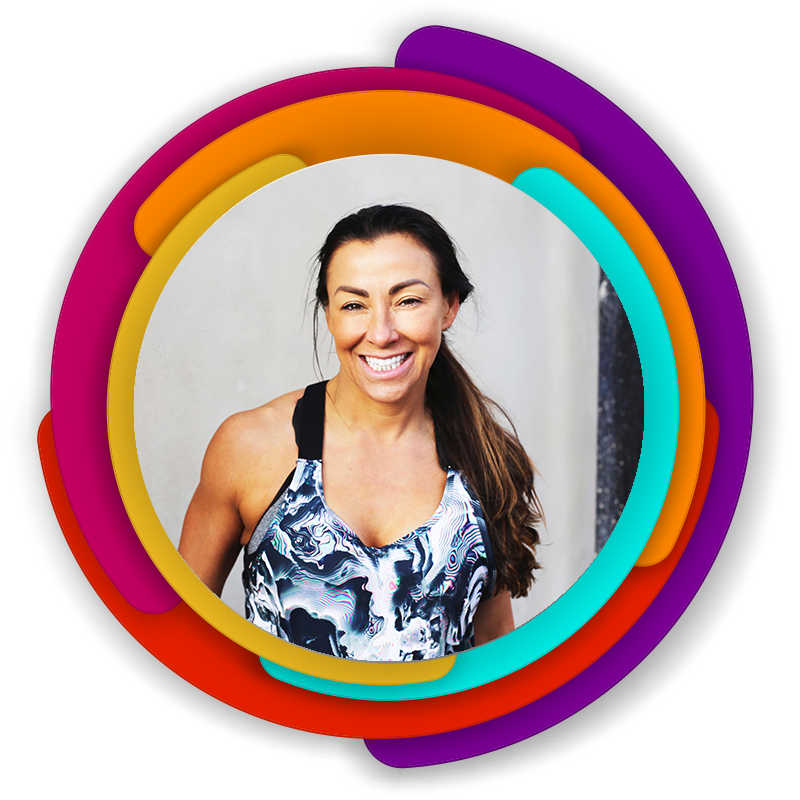 You have access to Rachel’s tried and tested 7 day Programmes so every week you can try something new depending on your goals all with Rachel coaching you every day. Where ever you are on your health journey Kick Start Members is for you. Get immediate access to the daily workouts, nutrition plans that give you plenty of variety, different food options and are quick, affordable and easy to make. I’ve been helping women with their weightloss and wellness goals for over 30 years. I also train Fitness Professionals globally and deliver courses, workshops, training courses at the highest level. Every day, I work with women who want to make changes to their health, their body, energy levels and overall confidence. I have made it my mission to create a programme that you can take with you and that will fit in your daily life. I have paired proven exercise routines with the mindset support, coaching and motivation that is so, so, so very important to your success. I just love hearing the positive experiences people have through this programme and, especially, the ‘Ah Ha!’ moment when they find the key to the lasting change they want. I love helping women get the most out of life!  I now have a totally different mindset set in life! I believe more in myself, my confidence has grown it’s the best it’s been for years. Losing weight and inches was my goal to start with but now I know it’s not all about these 2 areas it’s how we feel inside and I feel I radiate with happiness now. I’m in control of my life again.  Rachel you are amazing for setting this programme up and keeping us all focused. Lost a stone and 6 inches that I never thought I’d do in a million years! I’ve now maintained for a month, don’t think I could have done it without you guys! 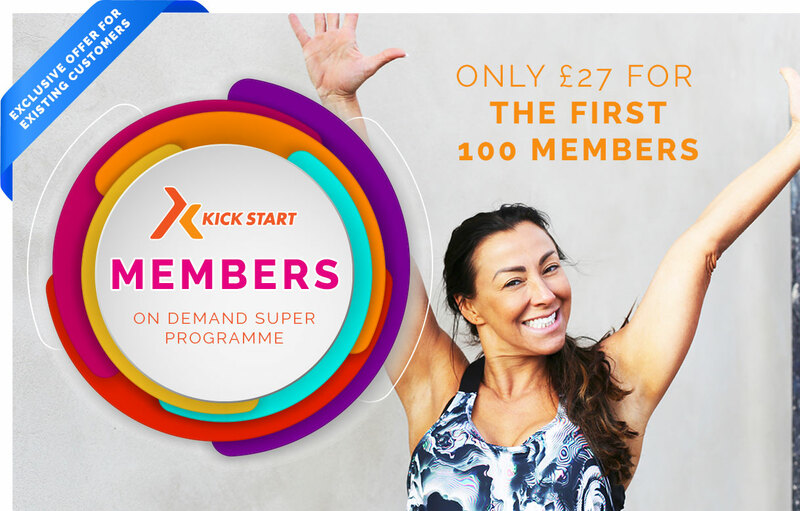 What Else Do You Get As A Kick Start Member? Whether you’re an experienced workout pro or just starting out, we have a range of 15-20 min workouts to suit you. HIIT, Lift Lean, Fitness Yoga, Fitness Pilates. A huge part of lasting change is setting the right thought patterns and breaking down destructive beliefs. Together, we work through how you can get past these blockers and take the action you want. I understand how difficult this can be and work with you to give you the support you need. I’ve worked with thousands of women and faced many of the same issues myself. Together we will get you there! ⭐Daily nutrition plan & shopping list! Food plays a big role in hitting your goals. It is important that you’re nourished, happy, and confident socially! We won’t ban foods or encourage faddy diets – this is a plan that you can use for all the family. GET STARTED TODAY FOR JUST £27! You get complete access to all programme material, home workouts, daily nutrition videos, shopping lists, meal plans and recipes! What is in the mindset coaching? You’ll see the barriers and beliefs that hold you back and learn strategies to overcome and break these down. Will this help with menopause symptoms? As we reach the years before, during and after the menopause our bodies change. These workouts are designed to combat those changes and put you back in control. I have an injury. Will I still be able to do the workouts? There are a range of workouts available so you can find something that you and your physio/doctor are happy with. If you’re unsure please get in touch to talk it through. The workouts can be done in as little as 15 mins. There are benefits to working out for longer and options to do both inside the programme! You will receive your log in to the online portal so you can access whatever you want, whenever you need it! I’ll give you strategies that you can use in your daily life to make better choices without compromising. You’ll see that you can socialise, eat out, and enjoy yourself – all without sabotaging your health choices.